The lion has long been a symbol of bravery, strength, and majesty. In popular culture, the lion is known for its power and is called King of the Jungle and King of the Beasts. The lion is often used as a royal emblem, found eight times in the Royal Arms for the Queen of England alone! 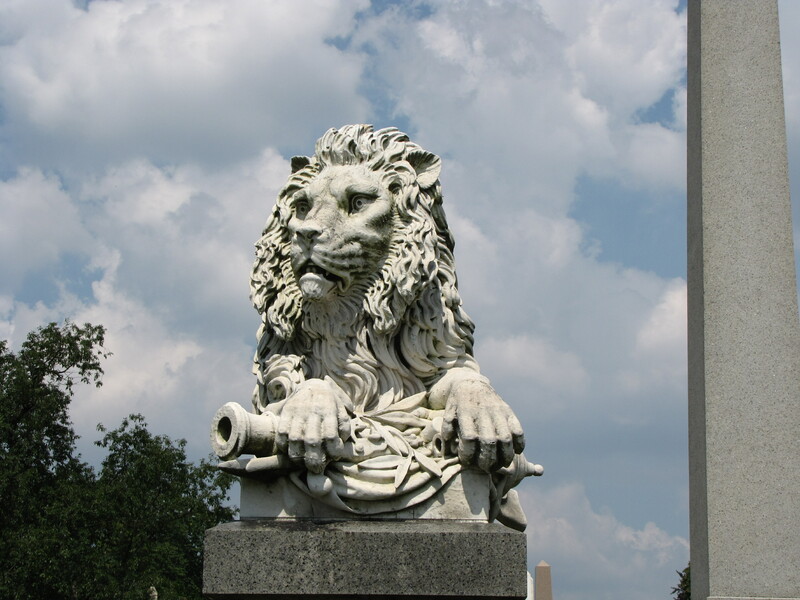 The lion in funerary art symbolizes the power of God. 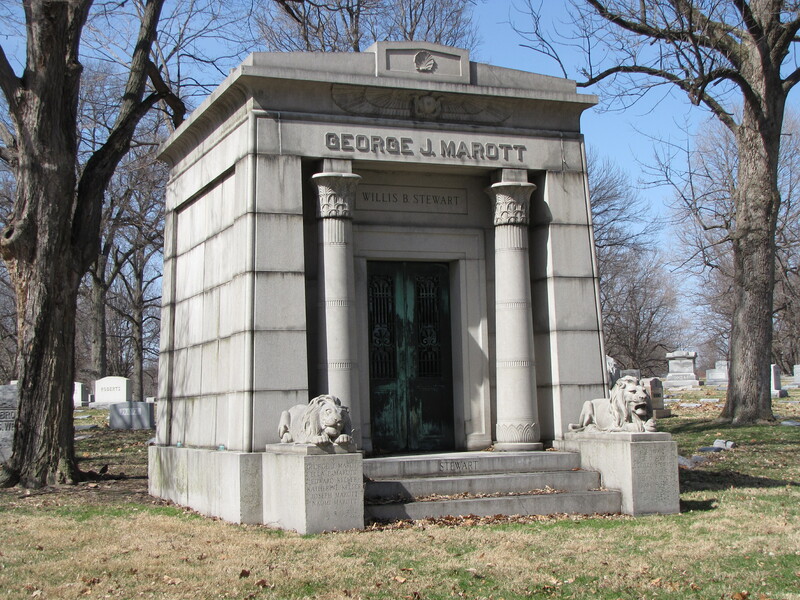 It is often depicted flanking the entrance of a tomb to guard against evil spirits to the passageway to the next realm. It also represents the courage of the souls the lions guard. There is also a connection of the lion to the Resurrection. It was once believed that lion cubs were born dead but would come to life after three days when the cubs were breathed upon by a male lion. The three days is significant because it is the number of days Jesus was in the tomb before he was Resurrected.